Remember the post I wrote about coco sugar last April? Well, I was encouraged to finally abandon my muscovado sugar for good. I'm glad that Robinsons Supermarket's Healthy You brand carries coco sugar. It's even great to know that they now have coco sugar in convenient packets! 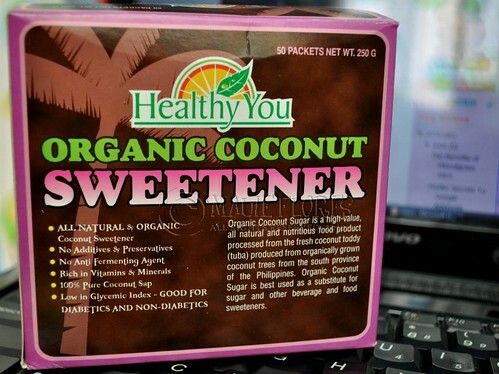 A box of Healthy You Organic Coconut Sweetener has 50 5 gram packs of coco sugar. I think this brand is exclusively distributed in all Robinsons Supermarkets. One box costs Php 150. What I was buying before this box was 250 grams of coco sugar packed in a plastic resealable pouch. I prefer this one since it's not only convenient for me to bring coco sugar in my bag when I'm out but it also helps me regulate my use. 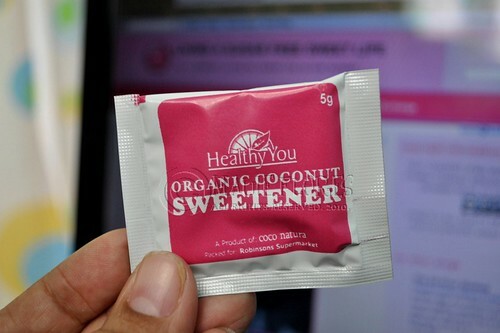 I am used to consuming 2 packs of artificial sweetener and I also do that with coco sugar. 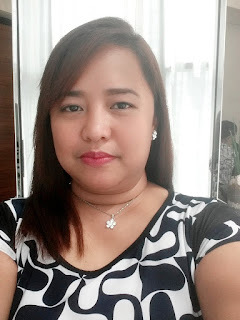 What made me switch to coco sugar from using muscovado sugar is the fact that organic coconut sugar has a low glycemic index compared to muscovado sugar. The glycemix index of coconut sap sugar is only around 35 to 54 Gi per serving compared to the 65 to 100 Gi per serving of muscovado sugar and other sugars. Aside from that, coco sugar retains more nutrients that muscovado sugar. 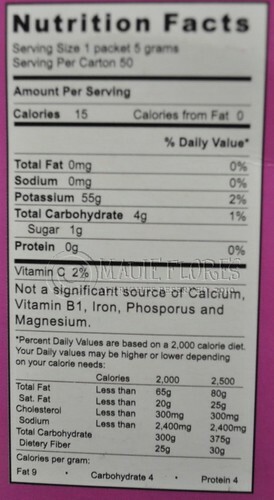 You can click this site to see comparisons between coco sugar and other sugars.